The Steinbuch Center for Computing (SCC) is the information technology center of KIT. The SCC not only provides IT services for a big research institution, but also SCC does research in the topics of scientific computing and data analysis, management of large scale research data and data intensive computing as well as secure IT-federations. 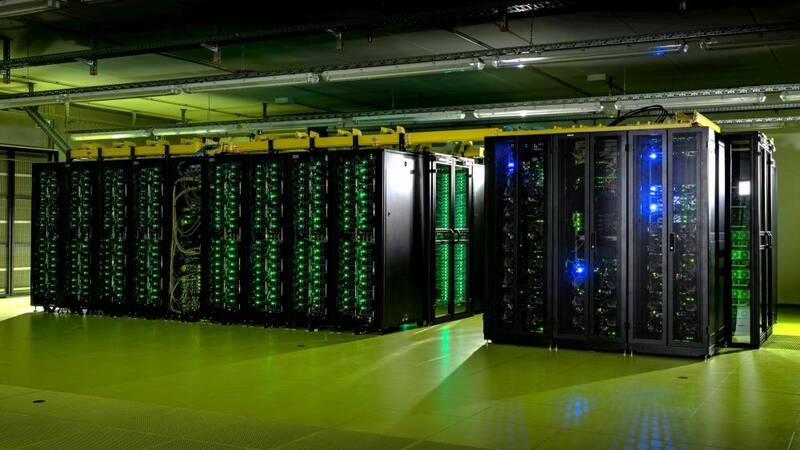 On behalf of the State of Baden-Württemberg, SCC runs a Tier-2 high performance computing center (Forschungshochleistungsrechner – FH I & II) for nationwide users.The Petaflop system is very energy-efficient and it works through a ‘hot-water cooling’ which won the first place at the ‘Deutscher Rechenzentrumspreis’ 2017. Furthermore SCC provides the basic high performance computing resources for other Baden Württemberg universities. For the international high-energy physics community, the SCC operates a German WLCG-Tier-1 data and analysis center with GridKa for storing, analyzing and archiving the data of the LHC-accelerator at CERN. Data intensive computing and data analysis with most modern techniques from industry and science.